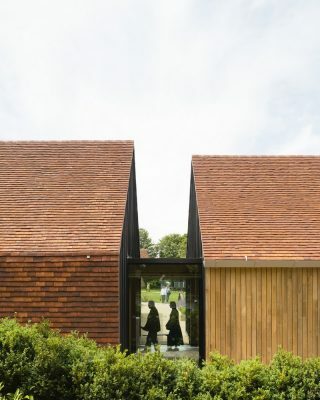 The Gateway Project, Weald & Downland Living Museum, West Sussex, is one of fourteen buildings shortlisted for RIBA South East Awards 2018 by the Royal Institute of British Architects judges. There were 43 buildings entered in the region, which covers Kent, Surrey and Sussex. The declining film studios at Bray – famous for its mid-20th century association with Hammer Films – is to be sensitively redeveloped under plans by a:b:i:r architects. The proposals focus on the refurbishment of Down Place the iconic, grade II listed Thames side manor house on the site which will be returned to a private residence with a new build contemporary media centre elsewhere on the site upgrading the production facilities for the 21st century. New accessible beach huts designed by a:b:i:r architects and Peter Lewis will be unveiled later in August 2011 in Boscombe (Bournemouth) as the UK’s first designed specifically for people with disabilities. ‘The Seagull and the Windbreak’, which draws upon traditional seaside imagery of a line drawn seagull and multi coloured stripes of the traditional windbreak, beat off worldwide competition from 173 international entries. 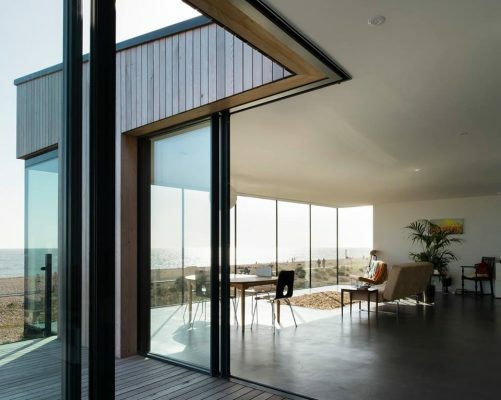 ABIR architects (formerly a:b:i:r architects) are a dynamic, award winning architectural practice founded in April 2009 to deliver responsible, design led architecture that is rooted in its local community. Simon Atkins, Olli Blair, Giles Ings & Matthew Richardson formed the company after 8 years in practice. Together they have many years of experience working on new build projects, refurbishment, and conversion work for housing associations, organisations specialising in special needs delivery, Local Authorities and private clients. They have wide ranging experience in numerous industry sectors within the UK, across Europe and in Libya. In addition all the directors are involved in local authority design review panels, Olli is the chairman of Sussex Branch RIBA (Giles & Matthew are ex-chairmen), and Matthew holds an RIBA SE regional council executive committee position. All directors have teaching experience at local architecture schools and judging of local and national architectural awards. Giles is an affiliate member of the National Register of Access Consultants, Chairman of Brighton and Hove Business Community Partnership ProHelp and Director of Brighton and Hove Education Business Partnership. In 2009 ABIR architects collaborated with AEREA to win the CABE organised international competition for new accessible beach huts in Bournemouth. The project is currently being offsite manufactured. In August 2010 ABIR architects were announced as regional finalists in the HSBC Start Up Stars Business Awards. 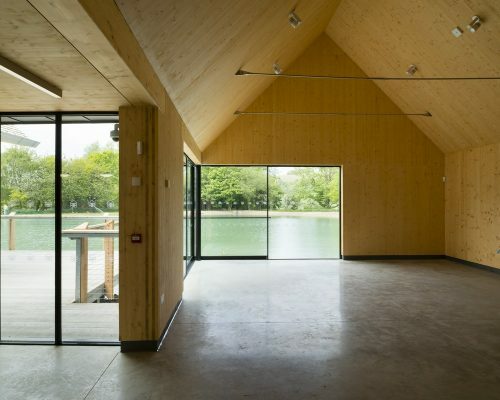 ABIR architects are continuing to grow steadily, building a business that is as sustainable as their designs. Their aims remain those with which they established the company – to deliver high quality designs with a strong environmental awareness, to promote their work across their specialist sectors, to retain key clients and to develop a positive work environment for all their staff. ABIR architects are ISO9001:2008 accredited, members of The Green Register of Construction Professionals, members of Brighton & Hove ProHelp and an RIBA Chartered Practice. March 3, 2018 in Architects.